We dig the Zipp and Zipp Mini, but they illustrate the distinction between multi-room and whole-home audio systems. 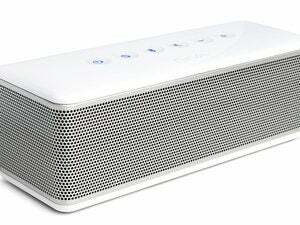 With a few notable exceptions, Bluetooth speakers are a dime a dozen. They’re commodity items with little differentiation to set one apart from the rest. Among larger Bluetooth speakers, I would count Creative’s Sound Blaster Roar 2, Jawbone’s Big Jambox, and JBL’s Xtreme among those exceptions. 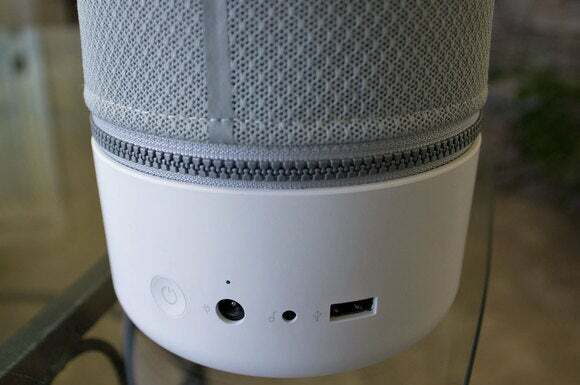 But the Libratone Zipp lineup sounds as good, if not better, than any of those speakers, and it has some features the others lack, including multi-room audio support to compete with the Sonos Play:1 and Play:3. Libratone doesn’t have anything in its lineup that can compete with Sonos’ larger Play:5 or Playbar sound bar, nor does it offer a dedicated wireless subwoofer, but the Zipp and Zipp Mini deliver great sound, multi-room audio support, battery-powered portability, and several innovative features. 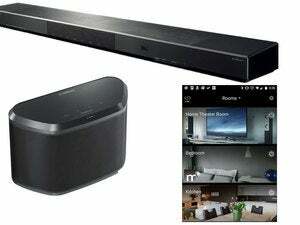 Just don’t confuse multi-room audio with whole-home audio. I’ll explain the difference and review both speakers here. Before I jump into the meat of the review, I will make you aware of a couple of items that could be deal killers for some: First, the speakers don’t power up instantly, whether they’re operating on batteries or AC power; instead, they boot up like a computer or a smartphone—a process that takes about 35 seconds. There’s no way to start them up with the app, you must physically press the power button to turn them on. That’s kind of a drag, especially when you don’t notice that your playlist has ended before the speaker shuts itself off again. But it’s one of the compromises you have to make to gain the battery-powered option. With its cloth jacket removed, you can see how the woofer and dual tweeters are seated at the top of the enclosure. Less importantly, assuming Libratone fixes whatever bug is responsible, the Android version of the Libratone app (it’s also available for iOS devices) crashes at launch when installed on some Android devices running Android Marshmallow. That list includes the Nexus 6P that I use, along with Sony Xperia Z3 Plus and Sony Xperia Z5 Compact. Libratone says it’s aware of the issue, but notes that the app runs “flawlessly on the Samsung S7 Edge.” The company was unable to provide a date as to when the Android problem would be fixed. I evaluated the speakers using an iPod touch, a Nexus 6P smartphone, and a Windows PC (using the Windows Play To feature). I used the iPod touch to evaluate the app. 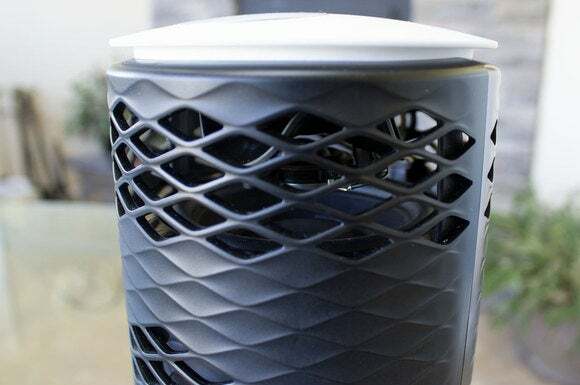 The cylindrical Zipp enclosures are fabricated from ABS plastic and a polycarbonate material, with thick leather loop handles and plush cloth covers that can be removed and replaced with fabrics of different colors and textures (but these aren’t cheap at $29 each). Plug a thumb drive into the USB port at the bottom of the speaker and you can play the music stored on it, using the touchscreen controls at the top of the speaker to move through the files in the order they were placed on the drive. But I think most people will stream music from other wireless sources (Bluetooth, AirPlay, or Wi-Fi from a DLNA server). The active drivers are mounted near the top of the enclosures and their sound radiates out in all directions. The Zipp has one 4-inch paper-cone woofer that fires up, and a pair of 1-inch soft-dome tweeters. One of these fires up and the other fires down, with the sound waves bouncing off a ruffled interior surface to create a nondirectional 360-degree effect (you can see some of the details in the close-up, above). Two 4-inch passive radiators deliver generous amounts of bass. You can see one of the 4-inch passive radiators in this broader shot of the Zipp with its jacket removed. The Zipp Mini has one 3-inch paper-cone woofer and a single, down-firing 1-inch soft-dome tweeter, with a similar curved surface creating the same 360-degree effect. A pair of 3-inch passive radiators augments the Mini’s bass response. Neither speaker can compete with JBL’s Xtreme in the thump department, but to my ears, they sounded more balanced than that bass monster. The Zipps are driven by Class D amplifiers, rated at 100 watts for the Zipp and 60 watts for the Zipp Mini (but the manufacturer declined to state how that spec is measured beyond disclosing that it’s neither RMS nor “peak power”). Take those numbers with a Matterhorn-sized grain of salt, but I can say that neither speaker felt inadequate for my 255-square-foot living room. Each speaker is also outfitted with a DSP with nine preset EQ values (“easy listening,” “soft and comfortable,” “jazz club,” etc.) that you can choose from within the app. I found the differences in these effects to be extremely subtle. Having said that, I was very pleased with both speakers’ musicality. Listening to “You Go To My Head,” from The Dave Brubeck Quartet’s Time Out (Legacy Edition), the speakers rendered Paul Desmond’s alto sax with clarity and finesse without muddying Eugene Wright’s works on the upright bass. On Guy Clark’s cover of Steve Earle’s “Fort Worth Blues,” (from Clark’s Cold Dog Soup), the Zipps do a great job of reproducing Clark’s guitar work and road-weary vocals, Emmylou Harris’ gorgeous harmonies, and Darrell Scott’s delicate mandolin work. The large circle on top of the speaker enclosure is a touch-sensitive control panel. 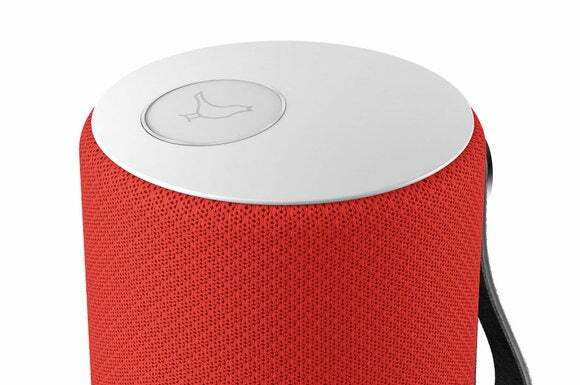 Each of the cylindrical speakers has a circular multi-function capacitive touch surface with haptic feedback on top. Dragging your fingertip in a circular motion on this surface adjusts the volume (clockwise to turn the volume up, counter-clockwise to turn it down). Tiny LEDs light up to provide visual feedback. Touching the nightingale logo pauses the music. The touch surface also has buttons for moving up and down your playlist, but this doesn’t work with every source (it works in AirPlay mode and with a Bluetooth source, for instance, but not with the Windows Play To feature). Touching the heart icon cycles through your five favorite Internet radio stations (selected via vTuner). Holding your hand over the top of the speaker lowers the volume to a whisper until you move your hand away. That’s a great feature when you need to answer a phone call, because you don’t need to fiddle with your phone to bring the app to fore to pause the music. Multiple Zipps can be linked together to create a multi-room audio system, with appropriate names to identify them, or you can designate speakers as left and right channels and operate them as a stereo pair (you’ll get the best experience using the same models for both channels, of course). You can control the volume levels of the individual speakers by either using the touch control on each cabinet or using Libratone’s app, but you can’t do it from the same app you’re using to stream music (unless you’re listening to Internet radio via the app). And unlike a Sonos system, you can’t stream different music to each speaker from a single source. The Zipp and the Zipp Mini can host a USB thumb drive as well as accept an 1/8-inch auxilliary input. Judged on their own merits, the Zipp and the Zipp Mini are both pretty good speakers. They’re quite versatile no matter which platform you prefer: Mac OS, Windows, Android, or iOS; media player, smartphone, or computer. And you’re not stuck should you decide to switch platforms. In terms of bang for the buck, the larger Zipp ($299 on Amazon) delivers more for the money than the Zipp Mini ($249 on Amazon), including a bigger amp, larger speakers, and two tweeters to the Zipp Mini’s one. It’s definitely worth the extra $50. If you’re looking for stand-alone speakers, Libratone’s line is much more versatile than the Bluetooth-only models I’ve listened to. 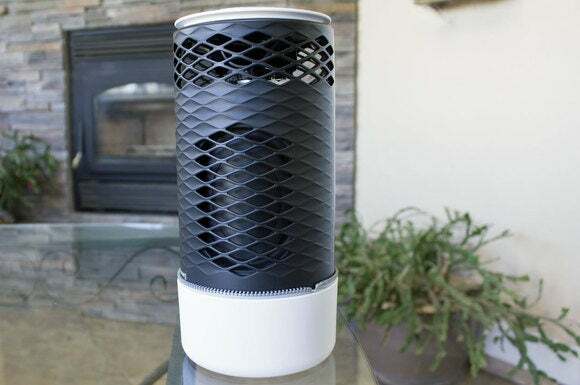 As a multi-room audio system, the Zipps beat Sonos in a few areas—battery power, the ability to play from a USB thumb drive, the capacity to charge your phone from the speaker’s battery, and the option of using either Zipp as a speakerphone. But they come up short on several arguably more important counts: You can’t stream different songs to multiple speakers from the same source (e.g., a NAS box), you must use Libratone’s app to control the volume on multiple speakers independently, there’s no means of managing a queue of tunes, and the Zipp is as large as the line goes. And the limitation of needing an independent source to stream different music to each speaker completely knocks them out of the whole-home audio arena. In the end, the Zipp and the Zipp Mini make better speakers than they do a speaker system. 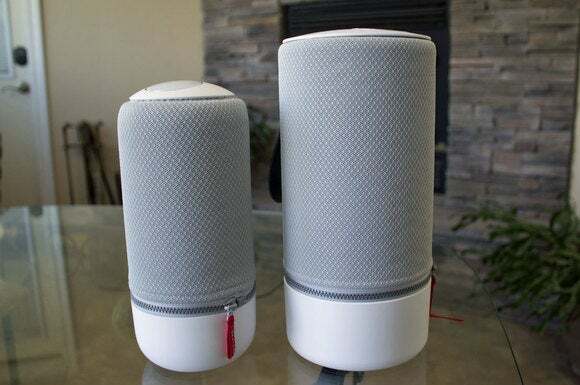 Correction: This review was updated to report that you can control the volume of each Zipp speaker independently, using Libratone’s app. 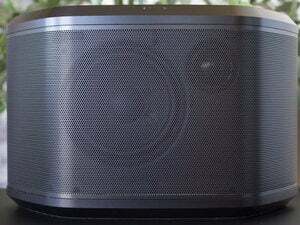 The Zipp is a very good and versatile wireless speaker, but Sonos has much better multi-room audio infrastructure. Another $50 gets you the Zipp, which delivers better sound and a lot more of it.